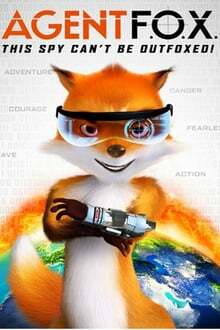 Super spy and master inventor Agent F.O.X. arrives in Carrot Town with one objective: infiltrate the community of friendly rabbits, locate a mysterious artifact, and return to base immediately. But the mission is turned on its head when the secret agent is discovered… and mistaken for a distant cousin: a long-tailed rabbit. Overwhelmed by their hospitality and friendship, Long Tail is forced to make a difficult choice: abandon his mission or betray his newfound friends. He soon discovers that he is part of a dangerous plot that could threaten the peace between the two animal groups forever. Agent F.O.X. is a high octane animated adventure with lots of laughs, zany action, and a heartwarming story the entire family will enjoy.